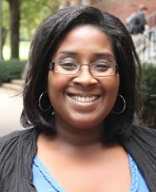 Lu Settles Young joined the University of Kentucky College of Education as a program evaluator and faculty member in the Next Generation Leadership Academy in January 2015. She is now a clinical associate professor in the Department of Educational Leadership Studies and Executive Director of the Center for Next Generation Leadership. Before coming to UK, Dr. Young served as the Chief Academic Officer of Fayette County Public Schools in Lexington, KY, and before that, superintendent of Jessamine County Schools for nine years. She earned principal and superintendent certifications from the University of Kentucky and holds a doctorate in education leadership from Northern Kentucky University. 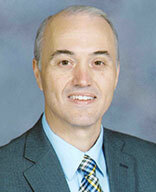 Dr. Young was selected as the 2012 Kentucky Superintendent of the Year. She serves on the Advisory Council for AdvancEd KY and is an active member of the board of the United Way of the Bluegrass and the UK College of Education Board of Advocates. Justin Bathon is an associate professor in the Department of Educational Leadership Studies and serves as support faculty for the Next Generation Leadership Academy. 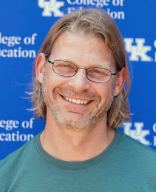 At UK, Justin also serves as a director of the Center for the Advanced Study of Technology Leadership in Education (CASTLE) and as the primary university liaison to the STEAM Academy public high school in Fayette County. Justin’s is highly concerned with the “code” of education which includes things like the legal structure upon which the system is built, the norms of everyday school policy implementation, and the technological architecture of learning. Justin is both a lawyer and has served as a high school teacher. With the UK Next Generation Network, Justin serves primarily as support faculty emcee of events and lead of technology professional development. Neomia Hagans-Flores is the lead administrator of the Center handling issues such as finance, scheduling, and operations. She facilitates the work of the Center and is the primary contact for operational issues. 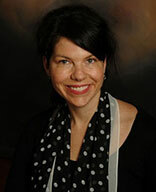 Neomia also serves as the Director of Academic Outreach for the Department of Educational Leadership Studies. Before coming to the College Education, Neomia served as a student services personnel member in the Student Success Center at UK where she was primarily concerned with the college transition, leadership development, and academic/personal welfare of first generation students. Neomia is both a member of the UK community and serves as the head speech & debate coach at Paul Laurence Dunbar High School. She has a Masters in Social Work from the University of Kentucky. Carmen Coleman, formerly Superintendent of Danville Independent Schools, is now an associate clinical professor at the University of Kentucky. 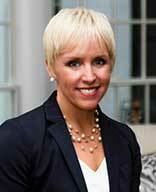 In this role, she works with National Center for Innovation in Education and the Next Generation Leadership Academy. While serving as superintendent in Danville, the district focus was to create a system of personalized learning, one with flexibility designed to inspire students to become strong and enthusiastic learners rather than those who can only clear test score hurdles. As result, Danville was chosen as one of the first Districts of Innovation in the state. Because of their success and work with project-based learning and performance-based assessments, the district was featured on PBS’ NewsHour, in the Harvard Letter, District Administration and multiple times in Tom VanderArk’s Getting Smart blog as well as in many other state and national publications. In addition, the district has more than doubled the number of students who qualify as “ready” for college and/or career as measured by Kentucky’s accountability system since 2012. 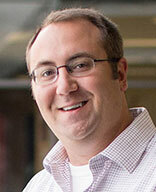 Buddy Berry has a passion for reinventing the K-12 school experience. His School on FIRE (Framework of Innovation for Reinventing Education) model is currently in it’s third full year of implementation and is seeing dramatic results including KY’s first ever graduating class scoring 100% College and Career Ready Seniors. It is grounded in a model of mastery learning with systemic ICE (Interventions, Connections, and Enrichments). The School on FIRE begins with a mindset of Surprise and Delight, Next Generation skills, and utilizes student agency to provide lessons and learning that captures every child’s heart and imagination. His passion is to spread the FIRE and to reignite educators’ passion for changing the world one student at a time! 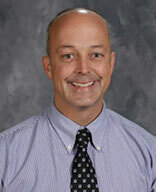 Buddy is in his 5th year as Superintendent of Eminence Independent Schools. He holds a BA in Sec. Math from the University of Kentucky, MA in Secondary Counseling from the University of Louisville, MA in Instructional Leadership from Bellarmine University; and a Superintendency Certificate from Eastern Kentucky University. He serves on the Board for OVEC and the Fund for Transforming Education, has been a Highly Skilled Educator with KDE, UK Next Gen Academy Fellow, is working on a new Compentency Collector App (CoCoA) and developed the School on F.I.R.E. (Framework of Innovation for Reinventing Education) Model based on the CCSSO’s six core principals of innovation. Maria Cahill, Ph.D. is an Associate Professor in the School of Information Sciences in the College of Communication and Information and holds a joint appointment in the Department of Educational Leadership Studies in the College of Education at the University of Kentucky. Her scholarship is balanced between education and library science with two research concentrations: one in the use of educational media to support literacy development and the other in library programming and services for children. Maria is currently serving as the principal investigator on a three-year research project funded by the Institute of Museum and Library Services designed to investigate public library story time programs. She is a former school librarian and is currently a member of the Board of Directors of the American Association of School Librarians. Thomas Guskey is a graduate of the University of Chicago’s renowned Measurement, Evaluation, and Statistical Analysis (MESA) Program. His research and writing focus primarily on professional development and teacher change, assessment of student learning, grading and reporting, program evaluation, instructional effectiveness, and educational reform. He served on the Policy Research Team of the National Commission on Teaching & America’s Future, on the Task Force to develop the National Standards for Staff Development, and recently was named a Fellow in the American Educational Research Association, one of the Association’s highest honors. 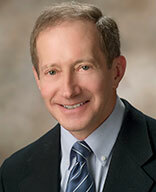 Dr. Guskey’s publications include 18 books, 36 book chapters, and over 200 journal articles and professional papers. His most recent books include Developing Standards-Based Report Cards (Corwin, 2010), Practical Solutions for Serious Problems in Standards-Based Grading(Corwin, 2009), The Principal as Assessment Leader (Solution Tree, 2009), The Teacher as Assessment Leader (Solution Tree, 2009), Benjamin S. Bloom: Portraits of an Educator (Rowman & Littlefield, 2006). His course offerings center on research and evaluation design, quantitative analysis techniques, and educational reform and change. Dr. Guskey holds a Ph.D. from the University of Chicago, M.Ed. in Educational Psychology from Boston College, and a B.A. in Physics from Thiel College. John Nash is an Associate Professor of Educational Leadership Studies at the University of Kentucky and the founding director of the Laboratory on Design Thinking in Education, or dLab. He’s also a director at the Center for Advanced Study of Technology Leadership in Education, or CASTLE, also at the University of Kentucky. 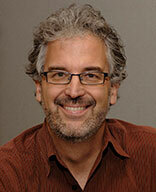 John’s a specialist in the design and prototyping of innovations in education. He teaches a range of courses on design thinking, school technology leadership, and school reform. His current work focuses on the how educators use design thinking to solve difficult school challenges. Dr. Mary John O’Hair served as dean of the College of Education and continues to be a professor of Educational Leadership Studies at the University of Kentucky. 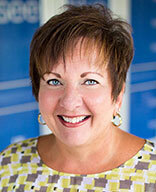 Dean O’Hair began her career as a middle school teacher in Texas and New Mexico. She has a distinguished teaching record at four universities and has directed over 20 doctoral dissertations. Dean O’Hair has led educational transformation initiatives in two states (Kentucky and Oklahoma); received over $40 million in external grants and contracts focusing on improving learning in P-12 and higher education, including one U.S. patent for inventing an electronic game-based learning system. She has published over 50 journal articles and books on topics including school-university-community partnerships, STEM Education, and communication. Under Dean O’Hair’s tenure at UK, new state-wide initiatives to transform Kentucky education have flourished, including the UK Next Generation Leadership Academy (over 250 Kentucky principals and superintendents have participated and completed); the Kentucky STEMx Network (designed to transform STEM education and workforce development in Kentucky); and the STEAM Academy (partnership between Fayette County Public Schools and UK focused on competency- based, mastery learning emphasizing science, technology, engineering, the arts, and mathematics). Dean O’Hair serves on the board of the Kentucky Education Professional Standards Board; The Fund for Transforming Education in Kentucky; the U.S. Department of Education’s Regional Educational Lab – Appalachia; One Parent Scholars; and Phi Delta Kappa, International. 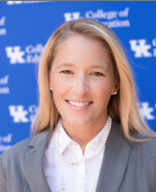 Amanda U. Potterton is an Assistant Professor in the Department of Educational Leadership Studies in the College of Education at the University of Kentucky. Her research and teaching interests include the politics of school choice, charter schools, privatization and public education, and the justice-related implications of these policies for students living in poverty, for students with special education needs, and for students who are English language learners. Amanda’s current research agenda focuses on how public school stakeholders, including parents, students, teachers, school leaders, and other community members, interpret and experience school choice policies and practices in local settings. Prior to pursuing her Ph.D., she was a New York City Teaching Fellow and taught special education in New York City, and she was a teacher and school leader in the United Kingdom. Amanda holds a Ph.D. in Educational Policy and Evaluation from the Mary Lou Fulton Teachers College, Arizona State University. 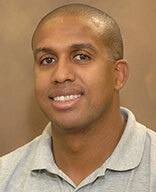 Jayson Richardson is an associate professor in the Department of Educational Leadership Studies at the University of Kentucky. He earned a Bachelor’s of Science in mathematics education with a minor in Spanish from Indiana University-Purdue University Indianapolis. After teaching mathematics on the Navajo Reservation in Arizona and in inner-city Indianapolis, he attended Indiana University–Bloomington and earned a Master’s of Science degree in curriculum and instruction with a focus on international and intercultural education. After living in London for a few years and extensive global travel, he earned a Ph.D. in Educational Policy and Administration with a focus on comparative and international development education from the University of Minnesota-Twin Cities. He is the Director of the Center for the Advanced Study of Technology Leadership in Education (CASTLE) and co-editor of the Journal of Educational Administration. Kathy Swan is a Professor of Social Studies at the University of Kentucky. Her research focuses on standards-based technology integration, authentic intellectual work, and documentary-making in the social studies classroom. Dr. Swan has been a four-time recipient of the National Technology Leadership Award in Social Studies Education, innovating with web-based interactive technology curricula including the Historical Scene Investigation Project, the Digital Directors Guild, and Digital Docs in a Box. Her co-authored book And Action! Doing Documentaries in the Social Studies Classroom and children’s series Thinking Like A Citizen were published in fall 2013. She is also the advisor for the Social Studies Assessment, Curriculum, and Assessment Collaborative (SSACI) at the Chief Council of State School Officers (CCSSO) and was the project Director/Lead Writer of the College, Career, and Civic Life (C3) Framework for Social Studies State Standards. 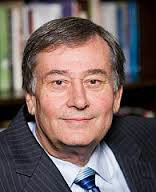 Gene Wilhoit is the CEO of the Center for Innovation in Education at the University of Kentucky, a partner at Student Achievement Partners and a member of the Board of inBloom. Gene served as executive director of the Council of Chief State School Officers (CCSSO) from 2006 until 2013, having spent his entire professional career serving education at the local, state, and national levels. At CCSSO, Gene spearheaded the states’ collective action to adopt the Common Core State Standards, marshaled a comprehensive restructuring of teacher and leader supports including consensus on preparation reform, stimulated state action to improve data systems and founded the multi-state Innovation Lab Network. 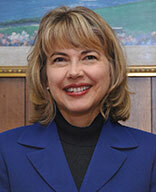 From 1994 to 2006, Gene led two state education agencies, as director of the Arkansas Department of Education and commissioner of the Kentucky Department of Education. Gene began his career as a social studies teacher in Ohio and Indiana. He served in the Indiana Department of Education, an administrator in Kanawha County West Virginia, and a special assistant in the U.S. Department of Education and executive director of the National Association of State Boards of Education (NASBE). Gene holds degrees from Georgetown College and Indiana University. He is a member of numerous education organizations, serves on several boards, has served on national and state commissions and has written and spoken on a variety of education issues. 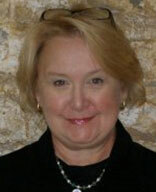 Linda Pittenger is Chief Operating Officer for the Center for Innovation in Education at the University of Kentucky. In early 2013, Linda left the Council of Chief State School Officers as Strategic Initiative Director for the Innovation Lab Network to launch the new Center with former CCSSO Executive Director Gene Wilhoit. The Center works as a partner with CCSSO to support the ILN and to promote student-centered learning policies in all states. Prior to joining the Council in 2008, Linda worked at the Kentucky Department of Education as Director for Secondary and Virtual Learning. Linda lives in rural central Kentucky. “I have a much better understanding of what it means to prepare project based learning as opposed to project oriented learning.